Angličtina pro děti. "I'm not certain that you will see any mermaids today - they are very rare," the Fairy Queen said, smiling. "But see if you can find me a pretty shell instead." When all the fairies go for an outing to the beach, Zoe and Pip desperately hope to catch sight of a mermaid while they enjoy the sun. But when they actually see one, they find her crying on a rock. 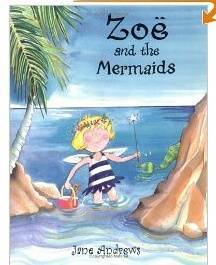 Her sister is trapped under the water and Zoe and Pip offer to help, but they will have to use all their fairy magic to avoid the dangers of the deep sea.